Last month, I set a challenge on Instagram of a different theme for each day of the month to post a picture of and for others to play along with. So many others joined in, it was such a pleasure to look at all the photos and get new ideas from everyone else. 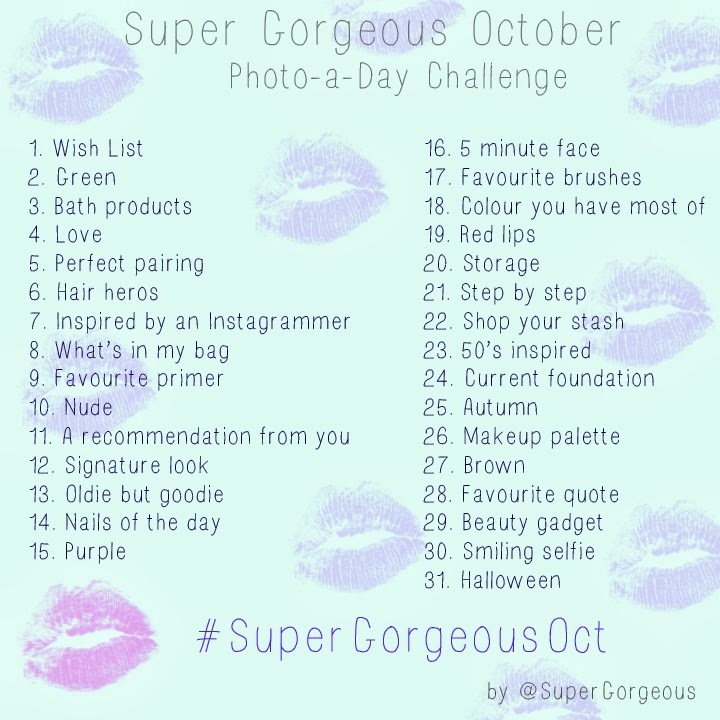 If you'd like to have a look at the thousands of photos submitted, check out the hashtag #supergorgeousept on Instagram. Here's a little snippet of some of the latest images to use the hashtag as part of the SuperGorgeousSept challenge. 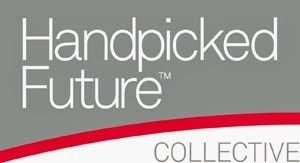 I have found it a little tricky to keep up with the last couple of days, but I am pleased I got as far as I did with it! I have had lots of people asking for an October challenge as they have enjoyed September's so much, or because they missed out on the beginning of September..... I have found it so hard to think of another months worth of themes, but here is the October challenge. Please use the hashtag #SuperGorgeousOct for your photos - and as always, feel free to interpret each theme as you wish, and don't worry if you miss a day. Enjoy! Please screenshot this image and post to your own instagrams to help spread the word! I see my face up there haha! I was shockingly bad at Septembers challenge, I'll see how I get on with October.